No need to carry printed book while travelling, Prepare yourself for upcoming exam anytime from any device. 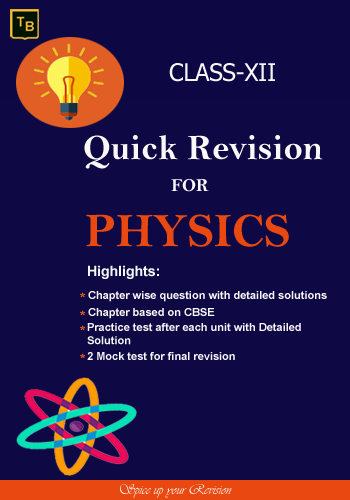 This quick revision book is based on the class 12th Physics CBSE latest syllabus and covers all important topics and questions with solved answers. This book is very useful for systematic quick revision and preparation for the upcoming board exams. this book is also very useful for the preparation for other competitions . Note: This book not available for downloading and available for reading online. Now you can prepare yourself for upcoming exam anytime from any device.